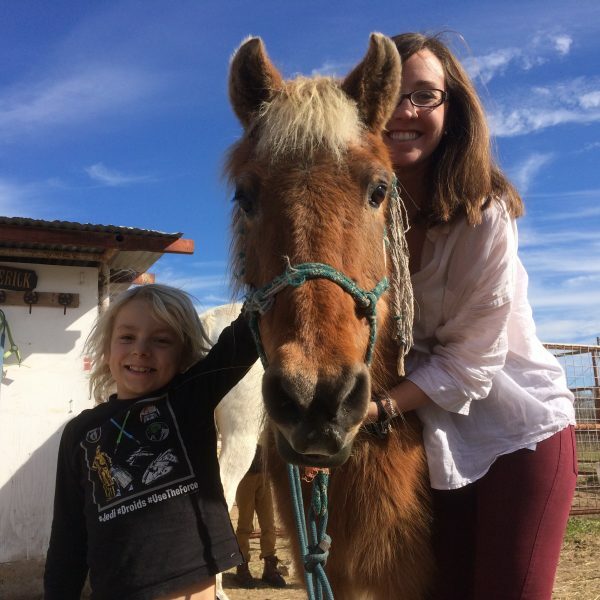 When working with equines, horseback riding instruction doesn’t begin the moment you plant your seat in the saddle. It commences quite a bit before. When you are even noticed by a horse, the interaction has begun. How you act will affect your four-legged friend. When handling horses on the ground, you make an impact. Whether you’re working with a horse you’ve recently encountered or one you’ve developed a relationship with for years, the rules of horseback riding are the same: approach the horse from near their shoulder, let him know you’re present (don’t sneak up on him), and watch how your horse is reacting to your actions. If he pins his ears, scuttles away, or gets worked up, there’s clearly something bothering him. Whether it’s in the environment or the way that you’re approaching him. If this is the case, take a moment to reassess how you’re feeling, how you’re approaching him, and what you could do differently to soothe the horse. When folks come ride with us, we like to make sure that they are aware of the most basic rules of riding before they even take to the mounting block. It seems obvious, but the most important thing is that if you are riding with an instructor, you must listen to their instruction. After all, that is why your riding instructor is there, right? Sometimes instructions may sound counter-intuitive, silly or insignificant, but there’s probably (okay, definitely) a reason that they’re telling you to do it! If the horse riding instruction doesn’t make sense to you in the moment, just ask him or her. There’s always a reason for instructions given, even for the most slight details and adjustments. It’s important to us that our riders understand that reason. The answer to your why should never be “because I said so” or “that’s just how it’s done,” when there is ample time to explain. Sometimes there isn’t time to question your instructor. It’s important to act quickly when he or she tells you to make an adjustment, etc. However, while that may be true, “because I said so” it’s not a valid answer, and certainly not an aid in the learning process. If you have questions regarding horsemanship and proper horseback riding form simply ask and of course be sure that you fully understand the answer. Sometimes one explanation just doesn’t resonate. It’s OK if you need your riding instructor to explain it a different way. 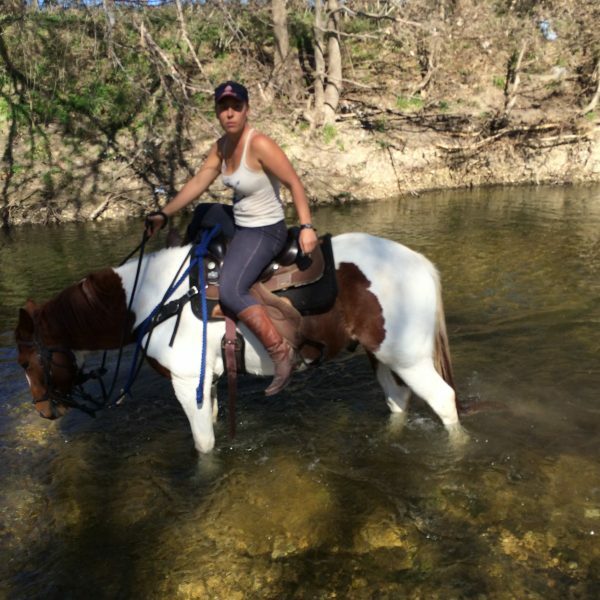 First is that you should ride with your heels down – a mantra that any experienced horseback rider has heard thousands of times – and the pad of your foot resting on the stirrup. The pressure should be through the heel, not the ball of the foot. This is the safest position for you ride with. Actually, to ride in any other way is downright dangerous.In the event of a fall off of your equine, if you were to have your toes pointed downwards, it exponentially increases the chance of you being dragged along the ground – ouch! Not only does riding with your heels down and toes up prevent dangerous situations, it also prevents you from accidentally urging your horse to go faster. The horses cue to pick up the pace is a light squeeze with your legs or, if necessary, a kick with your heels. If you’re constantly telling them to pick up the pace one of two things is going to happen: 1. They’re going to do it and you’re going to be stuck on top of a runaway horse, or 2. You’ll desensitize them to the cue of kicking, making it extremely difficult to control the speed of your horse. The second fundamental rule of riding is to not pull back on your horse unless you’re actually giving them a cue. The easiest way to do this is to ride with your hands in front of the saddle arcoxia buy online horn and down at about hip level (we’ll call this neutral position). However, position of your hands isn’t the only thing that matters – where your hand is positioned on the reins is equally as important. There’s no magic spot on the reins that is precisely where you’re supposed to hold. In fact, it’s a constant adjustment that changes based on what horse you are riding and how they are responding to your cues. As a general rule, however, you should always ride with just a small amount of extra slack so that you are not continuously pulling back on your horse, but are able to engage the reins when you do ask them to turn or stop. Now, when it comes to steering, we like to teach our riders to steer with two hands first before switching to the traditional western one-handed neck reining because of the simple fact that you have more control with two hands; there’s more connection with the horses face, as well as more strength that you are able to use if necessary. The process that you go about to steer is simple, and, if done properly, virtually invisible in a sense. With your hands in neutral position, all you need to do to get your horse to turn is give a squeeze with your hand in the direction that you want your horse to go (if you want to go left, squeeze with your left hand, and vice versa). This is the polite way to ask your horse to turn. No need to yank back on the reins with full force – that’s like someone shouting at you to do something when a polite request would have done the trick and left you much less irritated. 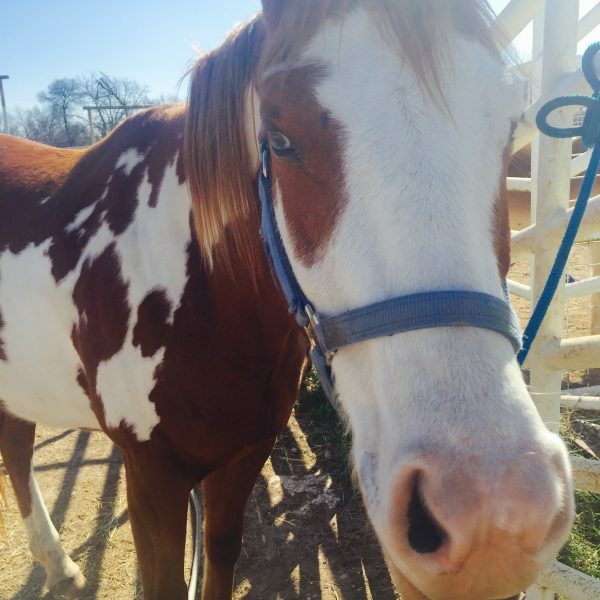 Instead, start with a squeeze, and gently pull back until your horse responds, and then immediately release. The whole concept of steering your horse is this: Use as little pressure as possible, but as much as necessary. The last major rule of horseback riding is the simplest one, and yet the hardest one to follow – simply look where you want to go. Horses are very sensitive and perceptive animals, so they can feel even the smallest movements, including where you’re looking. Many times, our tendency seems to be to look down at the horse and see what they’re doing, which is completely ineffective in steering them. Instead, looking where you want to go before you cue them to turn can make your communication with the horse much smoother on everyone. It’s just as if you were driving a car; you wouldn’t drive down the road looking at the steering wheel, neither would you continue looking straight as you turn off onto a different road. Instead, you’d be looking up at what was coming ahead so that you were prepared and ready for it. Just as in any area of life, goal setting is an important part of horseback riding. We can make long term goals about where we want to go and what we want to be doing when we get there, but it is also important to focus on the short term, sometimes with just the next step or the next cue that we’re going to give our horse in mind. 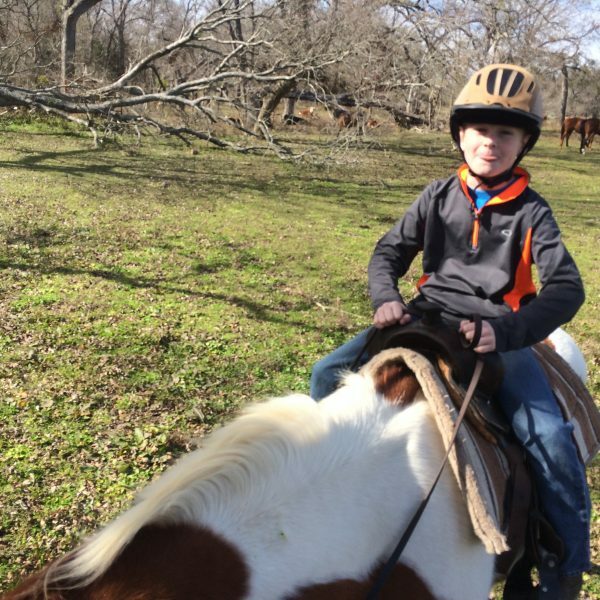 While there is a plethora of knowledge that you can acquire on proper riding form and horsemanship, these are the most basic elements of horseback riding that will help even first time riders get the hang of it. 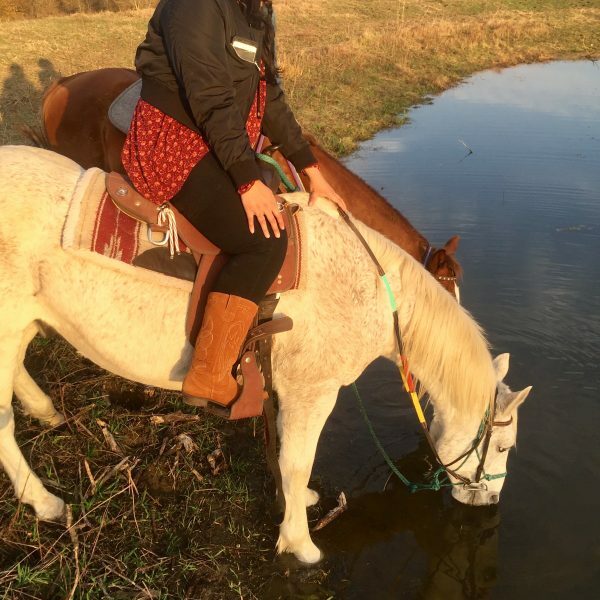 Just remember: heels down, toes up, don’t pull back on your horse, look where you want to go, and most importantly, relax and enjoy the fact that you’re communicating with this beautiful creature.